→When Is The Right Time To Lower Crib According To Experts? One of my readers asked me this, and I presumed this is a topic so interesting it needs one whole article. I researched about it--asked experts and other experienced moms of their opinion. 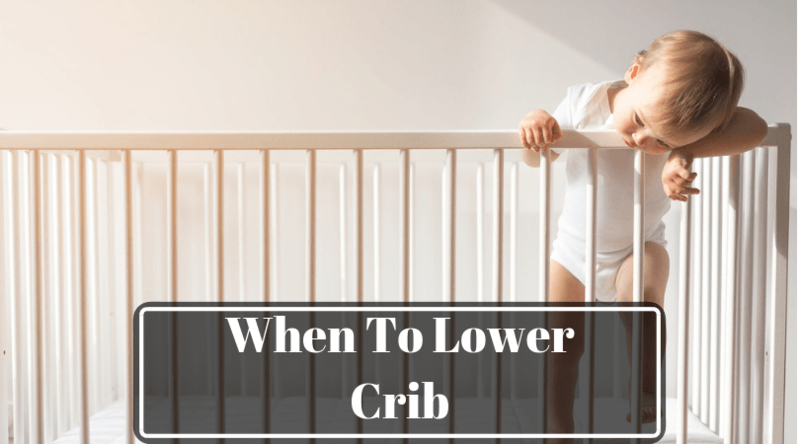 So in today’s post, I will be discussing the time when to lower the crib but before that, let me tell you why dropping it at the right time is crucial for every household. I will also sprinkle a bit more of sleeping safety tips for everyone’s peace of mind. A study conducted by Elaine S. Yeh, Lynne M. Rochette, Lara B. McKenzie, and Gary A. Smith, a group of medical doctors and researchers, reported the injuries related to cribs and other similar infant beds from 1990 to 2008. The study was conducted in the US and was published on Pediatrics in 2011. To gather the data, the group worked with the National Electronic Injury Surveillance System (NEISS). This department collects its data from more of less 100 hospital networks, which means it has access to about 6,100 hospitals across the United States. Eight of these networks are children’s hospital. Based on the information they gathered from 1990 to 2008, there are almost 200,000 crib-related injuries for children younger than two years old. The exact number is 181,654. This means that every year, there are about 9,561 children who get hurt because of their beds. 56.1% of these injured children are boys, and 34.6% of these injuries occurred among infants from 6 to 11 months old and 33.4% among 12 to 17 months old. How did the injuries occur? 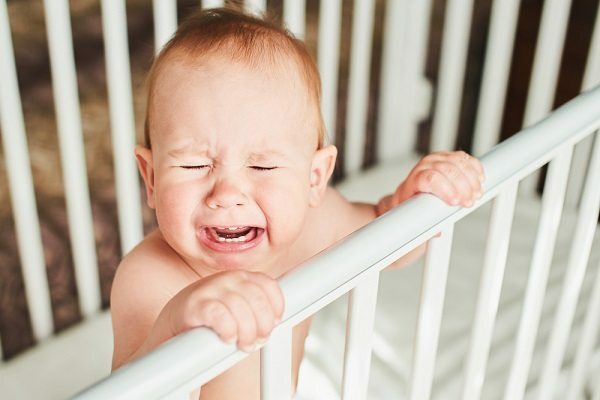 According to the study, “falling from a crib, playpen, or bassinet” was the most common reason--66.2%. Doing the math, that’s about 120,255 injuries in total or about 6,681 injuries per year. These falls resulted in causing damage to head, neck, or face, with concussions and closed head injuries being the most common. What’s interesting is the age when these accidents happen. You might think that this is only common for babies six months onward, but the research suggests otherwise. 38.1% of the injured babies were one to five months old! So When To Lower Crib? Given that falling off from a crib can happen as early as the kids’ first month, experts highly recommend dropping the kid mattress as early as possible. How early is as early as possible? The American Academy of Pedia​​trics says as soon as the baby knows how to sit or stand up. According to the milestones published by BabyCenter that’s about four to seven months old. After your little one’s third month celebration, drop the crib a notch. Don’t go all the way down yet. Even if you haven’t decided to lower the crib yet, make sure there is enough space between the top of the crib rail and the mattress; it should be at least 26 inches from the top of the mattress. Note the significance of measuring it from the top of the mattress and not anywhere else. Some cribs have a 4-inch mattress while others have a 6-inch one. So you have to be wary. Why Not Drop The Crib From The Outset? While it is tempting to lower the crib as soon as the baby is born, that setup will be challenging for you and the baby. This is especially true if you have short arms. You see, putting the baby to sleep is one thing, and keeping her asleep as you lay her down is another. If your crib is set too low, you have to bend all the way down just to ensure she stays asleep while setting her down. The first few months of the baby is more challenging as you have to feed her frequently. If you had a cesarean delivery, it’s risky. If your baby can stand or pull herself up from at sitting position, your crib should be set to the lowest. If your little one can stand and walk, it’s better to let her sleep on the bed. She can climb out of the crib in no time. If your child is three feet tall, she should sleep on the bed. She’s too tall for any crib. If your little one needs to be inclined due to reflux, clogged nose, or other reasons, place few firm supporting items under the mattress. Transferring your child to the bed doesn’t guarantee safety from falling. You should start with a floor mattress. The distance between the mattress top and rail top is not the only consideration for safety. The bars or railing should not be more than 2 ⅜ inches apart to avoid any of your baby’s body parts getting stuck in between. The headboards and footboards should have no cutouts. They, too, can cause injury. Drop rails are a no-no. They are not safe at all. Co-sleep as much as possible. I discussed this in detail in a previous article. You can do it even with a newborn. This way, you can easily monitor your baby’s movements, preventing any possible fall. We can never be so sure about your baby’s development, so it’s always better to err on the side of caution. Even though you baby seems to small or weak to fall off a crib, you’ll never know. So for that, ensure there’s ample space between the mattress top and the top of the rail. Also, make sure the crib rails are spaced narrowly, it does not have a drop rail, and its headboard and footboard are plain and solid. Also, right after your little one’s third month, drop the crib mattress a notch. There are mothers who thought their LOs are too young to get off the crib on their own, only to be surprised by a standing baby one day.